Tiny goats make great buddies! 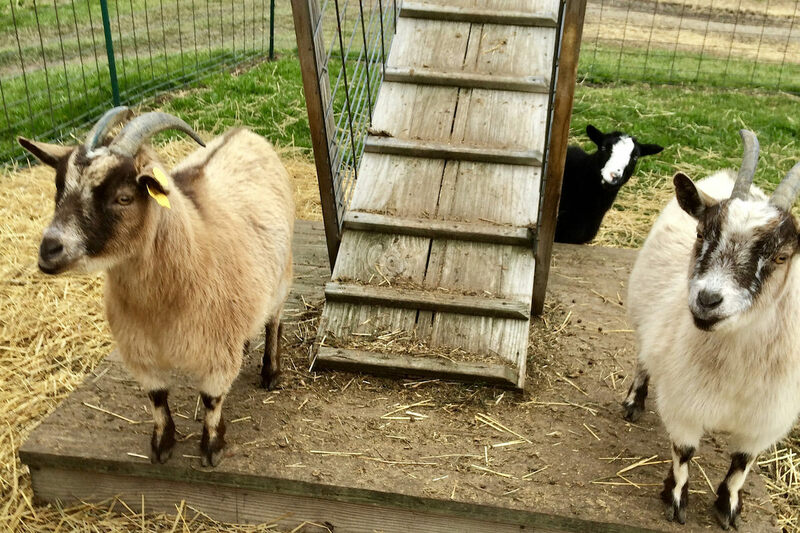 We have seven adorable Nigerian Dwarf Goats at Kackleberry Farm. These cute little fellas are known for their gentle and playful personalities and love making new friends. As herd animals, they are very adaptable and can easily make friends with other animals like cows, donkeys, and llamas. In fact, they will yell (or ‘bleat’) if you leave them all by their lonesome. Our goats are very lucky to have so many pals on the farm. Head out to the farm this Fall and meet them in person!